You are here: Home / About / Interested In Joining GovInn? That’s great news! We invite you to read this document and then send a paragraph about yourself, how you think you might benefit from being part of GovInn, and what you think you’ll bring to GovInn to info@governanceinnovation.org. The GovInn team will then give your application careful consideration and let you know the way forward. The Centre for the Study of Governance Innovation (GovInn) is an inter-Faculty, inter-University research centre founded at the University of Pretoria in 2012. Cirad, the French Agricultural Research Centre for International Development, and the University of the Western Cape (UWC) formalised their partnership with GovInn in 2015 and 2018, respectively. The Centre is currently housed in the Centre for the Advancement of Scholarship (CAS) on the Hatfield Campus of the University of Pretoria, and has an office at the School of Government on the UWC campus in Cape Town. GovInn is the first research institution in Africa dedicated, to inter-, multi- and trans-disciplinary research in innovative governance. Its current research focus is on ‘emancipatory governance’. GovInn’s seventeen research staff work across the Humanities, Social Sciences, and Natural and Agricultural Sciences to respond to today’s wicked problems that cut across both disciplinary boundaries and the science-policy-practice interface. Researchers at GovInn work with members of local communities, the general public and policymakers to respond to governance challenges locally, continentally and globally. 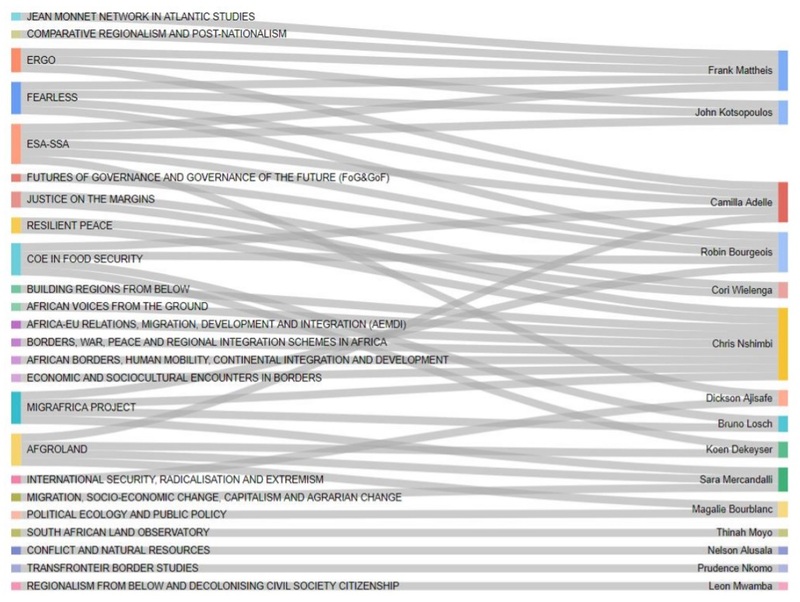 The researchers address governance in critical areas such as land, water, mining, migration, cross-border trade, rural and regional development, food security, justice and conflict resolution, with a constant vision of the future of governance and governance of the future. An important dimension of GovInn’s research strategy is the inclusion of postgraduate students in its research projects as a means of mentoring and guiding them into meaningful, impactful research oriented careers. GovInn undertakes research that influences and shapes policy and governance. To this end, it investigates the intersection of local, national and international governance systems, initiates knowledge brokerage platforms and advises policymakers. GovInners sit on advisory boards with key stakeholders (international and regional organisations, government departments, embassies, think tanks, civil society organisations). The vision of the Centre is that of a world class, multi- and transdisciplinary, collaborative, academic institution, focusing on governance innovation in Africa and globally. For the next three years this vision is specifically applied to ‘emancipatory governance’ as a means of exploring ‘innovative’ governance. The mission of GovInn is i) to foster awareness and understanding of governance innovation, and ii) to contribute to such innovation through its national and international engagements. The mission of GovInn is achieved at the theoretical and practical level, through research and expertise, capacity building and training, community engagement and the dissemination of information. GovInners see governance innovation as a “wicked problem”. Its “wickedness” stems from the architecture of governance, which crosses horizontal, vertical and transversal, individual and collective decision-making structures in nested ways. GovInn’s purposes in addressing governance from an innovative perspective is, therefore, to provide new insights by mobilizing theoretical and conceptual approaches as well as practical and concrete actions. The concept of ‘emancipatory governance’ and innovative approaches to make governance more emancipatory are at the core of all research at GovInn. Innovation not only includes novelty, but also “weak signals”, signs of emerging practices which contribute to making governance more emancipatory. Emancipation is about legitimizing the inclusion of a diversity of stakeholders as real contributors to decision making. Emancipation is also the action of becoming free from prejudice, dominance, and asymmetries in relationships of power. Further, emancipation implies the provision of skills and tools of empowerment to the actors involved in the processes of governance. Therefore, it differs significantly from conventional approaches to governance, as its focus is not only on the final state of a decision-making process, but also, and mainly, on principles and on how they translate into different states according to different conditions, evolving also over time. The “innovative” dimension is a dynamic one, making it possible for forms of governance to be continuously adapting, in more emancipatory ways, in which there is more opportunity for different voices to contribute to decision making. The fundamental questions the Centre addresses are: What innovative approaches are making governance more emancipatory? What is the impact of these approaches? How does emancipatory governance change the ways public goods are delivered within a society? Answering these questions simultaneously implies the assessment of existing governance practices and the way in which innovative approaches make governance more emancipatory. Though based in Africa, the activities of GovInn regarding governance innovation do not focus on African governance alone. However, GovInn prioritises Africa in its activities. Documenting African perspectives and practices on emancipatory governance is necessary if Africa is to innovate and find new ways towards economic and social progress and emancipation. As such, the continent could play a major role and lead the way for change for the rest of the world. Being constitutionally based in the Faculty of Humanities of the University of Pretoria, linked with the University’s Faculty of Natural and Agricultural Sciences, CIRAD and UWC, the Centre is a transdisciplinary research organisation that spans departments, faculties, centres and institutions through its existing partnerships. The Centre is managed by a Director and Executive Committee reporting to the Steering Committee but internally operates according to a flat, non-hierarchical, inclusive, participatory governance structure, which can be described as a ‘sociocracy’. The Executive Committee and all other contracted staff of the Centre share in decision-making responsibilities through consent. The main attribute of this system is a focus on deliverables and outputs rather than on the individuals themselves. 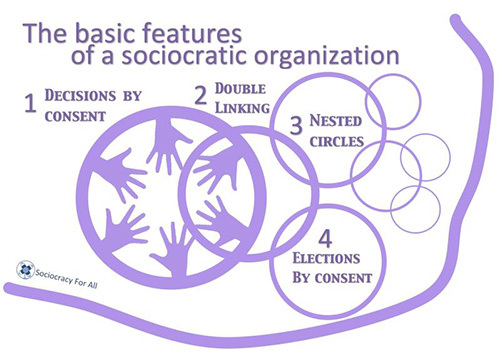 A sociocracy is characterised by i) circles of engagements, with people grouped around common interests and common topical research problems, ii) double links across circles (people who connect the circles), and between the Centre and its partners in different areas, iii) decision by consent, and iv) election without candidates, based on co-optation and consent. This organization makes all GovInn members equal and have equal voices in decisions within the Centre and as regards external impacts on the Centre. A sociocratic organisation was opted for as it helps address several challenges that characterise a Centre like GovInn: complexity of tasks, heterogeneity of staff and member institutions, attitudes regarding how decision are made, and need to include individuality into collective action. GovInn’s research is transdisciplinary in nature. This means that research at GovInn is i) actionable, ii) transcends disciplines, iii) develops a transgressive posture that looks at problems holistically, acknowledging uncertainty and complexity, iv) integrates a plurality of perspectives and types of knowledge including non-academic voices from outside the traditional boundaries of science. This emphasis on transdisciplinarity is also nurtured by the contribution disciplinary research can offer to address the overall research question on emancipatory governance, pushing disciplinary specialists’ boundaries. 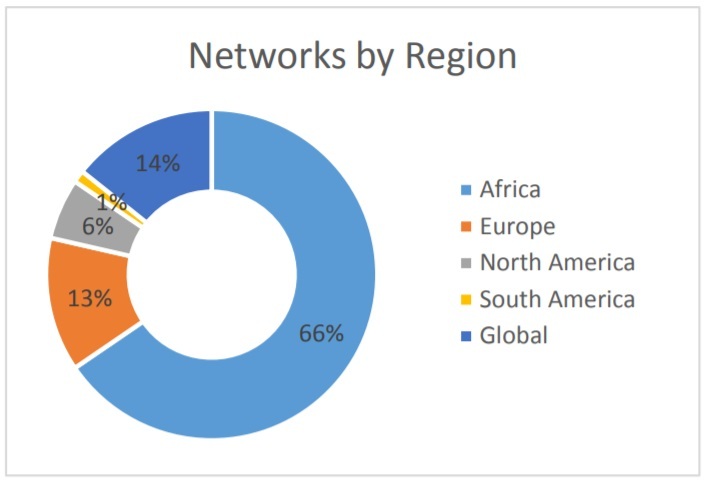 This figure offers an overview of our projects. You can read up about these on our website. The Centre runs its own publication series which includes a Working Paper and a Policy Brief series. The ‘GovInn Publishing Team’ (GPT) is responsible for and coordinates the review, formatting and publication of these series. Historically, the Centre has published a ‘Rethinking Development’ Working Paper series together with the Department of Agricultural Economics. The Centre anticipates developing a ‘Rethinking Governance’ Working Paper series to reflect its ongoing research on governance innovation and emancipatory governance. 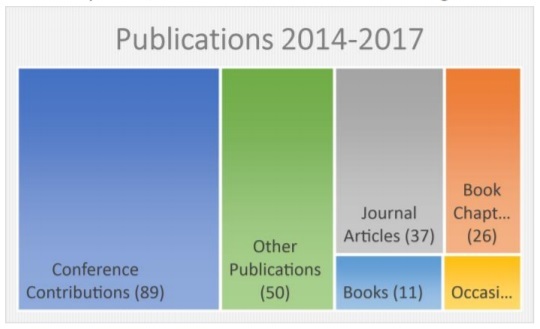 A high level of output is expected for the 2018-2023 period, with a focus on communicating research findings to the academic community and beyond. Reaching beyond the academia is important to GovInners, with members publishing in the UP and UWC-supported online platform, The Conversation Africa and a range of other similar media, so that GovInn’s research can be used by a broad audience for their governance and decision-making processes. GovInn is dedicated to pursuing and further developing strong and effective relationships with its current partners, as well as other institutions such as FABI and Future Africa at UP, and the School of Government and the Institute for Social Development at UWC. The Centre is fully engaged in academic life through teaching and supervision of honour, master and doctorate students. Within GovInn, a peer review mechanism replaces performance evaluations. Peers report and receive feedback from one another based on a specific template on a six-month basis. Evaluation and monitoring are conducted within the circles, and engagement and encouragement through support and achievable goal setting are prioritised over dehumanised measurement of performance and productivity. GovInn researchers remain accountable to their various parent institutions through their performance evaluations. The peer review mechanism is light on reporting but high on engagement between researchers. A summary is shared with the ExCom and accessible on-line for all GovInners. Where necessary, the ExCom engages with researchers to resolve conflict or performance issues. GovInn’s sociocratic organisational structure means that decisions are mostly made between all its members through online platforms (e.g. : email and shared documents) or face-to-face discussions. Decision-making processes can be initiated by any member of GovInn through any format of their choice. All reports and decisions made are open and transparent. Building collegiality, collaboration and shared research energy through informal channels is strongly encouraged. Every member sends a paragraph based on the evaluation process to the Centre Project Coordinator for compilation and appropriate inclusion in the Centre’s Annual Report. GovInn doesn’t, in and of itself, employ any staff. All staff are either seconded to us from other organisations or academic departments, or are funded externally through research fellowships or projects. What holds us together is our common interest in innovative governance. We imagine GovInn as a hub where researchers with similar research visions can partner together in meaningful ways. We invite postgraduates, postdoctoral fellows, academic staff and members of other centres and organisations to join us in whatever capacity and move the work of GovInn forward. Because we don’t have full time staff employed by the Centre, we need some things put in place that ensure that we function together as a team. You can join GovInn as i) a full time researcher or postdoctoral fellow (minimum of 6 months), ii) research associate or iii) a postgraduate student. Contribute to the vibrant and active culture of GovInn by providing innovative ideas. A direct link to GovInn’s research vision and be willing to participate in GovInn’s unique sociocratic organisational culture. Have been proposed by a member of GovInn (postgraduates will be provided a recommendation by their supervisors). GovInners assess the suitability of the candidate before a final decision is reached and communicated to the nominee. Every two years, your association will be reconsidered to ensure that your involvement in GovInn continues to be mutually beneficial and meaningful.